Grand Ch. White Magic's Shake Your Groove Thing, BIS "Shaker" wins the National Owner Handler Series BEST IN SHOW at the York Kennel Club dog show 3/13/15!!!! 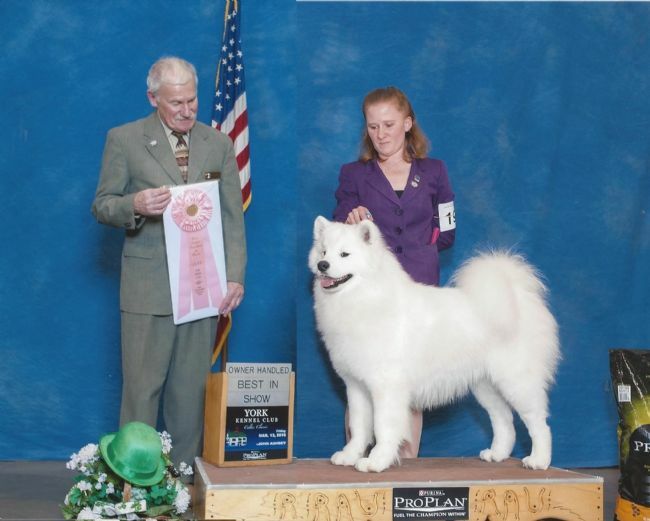 Shaker also won back to back Specialty Sweepstakes and award of merits at the Antietam Creek Samoyed Club Specialties the same weekend at only 17 months of age! !